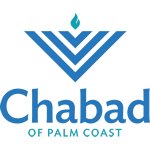 Join Chabad at Palm Coast Men's Teffilin club! Every Sunday at 9:30am. Start your week off right with Teffilin, Bagels lox and some Torah Shmooze with the Rabbi. Bring your own Tefillin or use one of ours (no prior laying experience necessary).